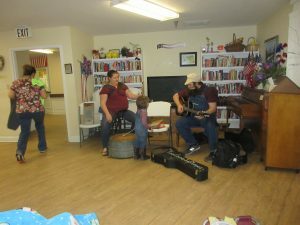 We enjoyed a visit from Drew, April, and the children. We always enjoy hearing them sing and watch the children as they run around to different ones and sometimes dance a jig for us or sing. We will be looking for them again soon.